The lives of most Olympic athletes are built around rigid structure and discipline: They eat right, sleep right, and spend hours upon hours in weight rooms or on treadmills honing their bodies and their skills. And then there are the slopestylers. This is the first year slopestyle is an Olympic event, and — even in comparison with other mountain sports — its athletes are unbelievably chill. Few other official gold-medal press conferences would begin with a prompt like “So how’s it feeeel man?” from a PR guy, but that’s how Sage Kotsenburg’s kicked off. The surprise winner told the crowd how he’d decided to throw a move that he’d never landed before … just a few minutes before the start of his final race. (He called his older brother, Blaze, to get his sign-off. “WHAAAAT?” Blaze said when he answered the phone.) Kotsenburg used the word “stoked” 14 times in one press conference and made life difficult for the poor folks tasked with translating his words into Russian. My words can’t do justice to theirs, so here are some of the best statements from the two gold medalists. 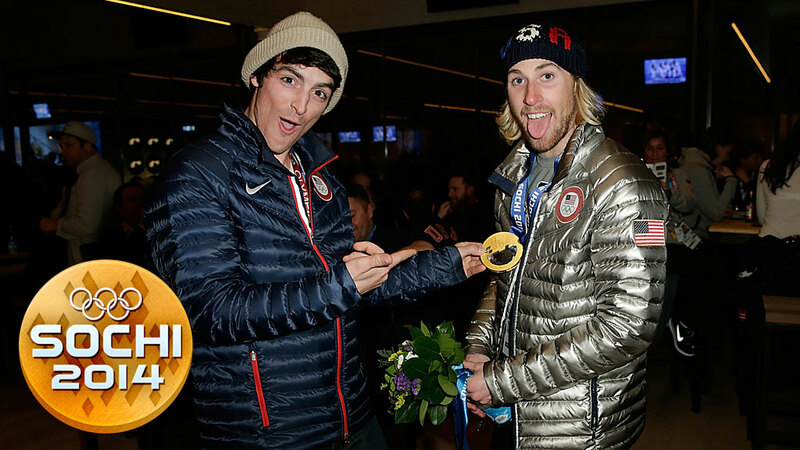 — Sage Kotsenburg, who invited the silver and bronze medalists (Staale Sandbech and Mark McMorris) to stand atop the podium with him, flouting Russia’s anti-gay propaganda laws. — Kotsenburg describing his routine and sounding like the coffee-ordering scene in L.A. Story.